West London has many great cricket clubs. For this list, we’ve picked five of the best venues to enjoy watching and playing England’s national sport. With a history dating back to 1870, Ealing Cricket Club in West London, is one of the most reputable cricket clubs in the UK. The club has six senior teams, thirteen junior teams and four ladies teams. It welcomes guests and players of all ages to its excellent facilities and superb cricket ground. It’s a perfect place to enjoy some casual cricket. Another club founded in 1870, Putney Cricket Club has been located on the Lower Common in South West London for over 50 years. The club accepts new players throughout the season. Putney Club has four teams: Saturday 1st Team, Saturday 2nd Team, Sundays and Sunday 2s. Matches are usually held between 1pm and 7.30 and 8pm at a beautiful location close to central London. 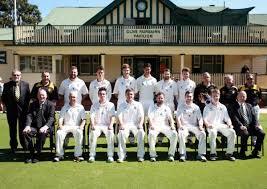 One of the oldest cricket clubs in London, Shepherds Bush was founded in 1882. and operates with 3 adult teams competing in the Middlesex League on Saturdays. In addition, their 4th XI participates in the 1987 Cricket League, and their Sunday XI is playing a number of League matches as well as friendlies. Their Colts section is flourishing, with 5 age groups from under 10’s up to under 15’s. They are one of the rare cricket clubs to still run a full 5-day cricket week, every year in July. 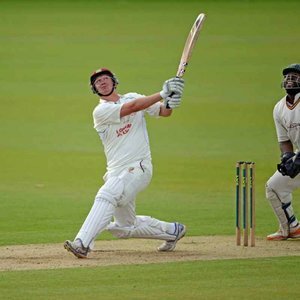 Richmond Cricket Club is one of London’s biggest and most respectable amateur clubs, offering competitive cricket for players of all ages and abilities, both male and female, senior and junior. Their main ground is Old Deer Park, which has been their headquarters since 1864. It is exceptionally equipped, with a row of grass nets and 5 artificial nets. Their clubhouse is often used for weddings and other celebrations. On Saturdays, club’s 1st and 2nd XI play their home league matches at Old Deer Park. On Sundays, the ground is reserved for training junior teams, as well as for friendly fixtures and their Academy XI games. Old Deer Park has also hosted Middlesex 1st XI matches, as well as Second XI matches. Richmond is part of the Middlesex County Cricket League. The club has nine senior teams, eleven colts boys teams, four colts girls teams and one ladies team. Based in Osterley, West London, Middlesex, this is a Clubmark accredited cricket club working with five senior teams and six junior teams with over 120 colts. Part of Wycombe House Sports and Social Club, this cricket club participates in the County League and the Middlesex Championship (with four Saturday teams) and in the Thameside League (with a Sunday team).